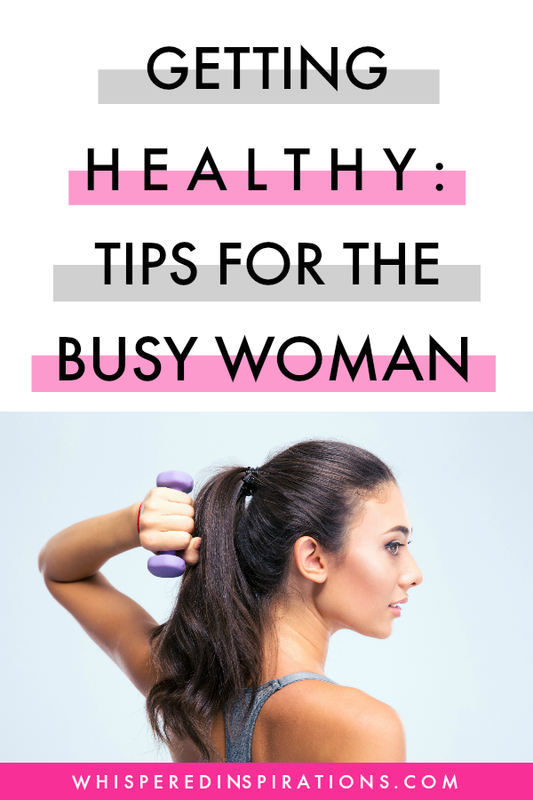 Tips for the Busy Woman! Being a mom often means that you put yourself last. However, there comes a time when you realize you need to put yourself first. Especially if you want to be there to take care of your family. This one is for the busy mom or the busy woman with everything on the go. The one that is trying extra hard to make good, healthy, and wholesome decisions for herself and her family. I tend to have a million things going on at one time and I try to be as organized as I can be. Often times, I find myself skipping meals and that is definitely not a good thing to do. One of my go-to things to help me get the nutrition I need is shakes. They’re fast, they’re easy and best of all, and they’re portable. Walmart has Equate High Protein Shakes that not only taste great but are also high in protein. Something that you need to keep your body going and working at its best. Whether you aren’t a big breakfast person like me or if you know that you won’t get a chance to sit down to a good meal, you need to be prepared, I also recommend reading about casein protein powder which is great for you and can be a fast option. For me, breakfast isn’t always my best meal. I have to push myself to eat and that is why I love the convenience of a shake. You can get all fancy like me and pour it into a cup, add a straw and garnish it with a berry. Believe me, it tastes so good! When you’re on the go, you can always just grab one, throw it in your purse or gym bag and you’re good to go. Another thing that is so important to be on top of is taking a multi-vitamin. Equate makes an excellent once-per-day that is formulated for women. It can help you metabolize carbs, fats and proteins, helps you maintain immune function, keep your skin looking great and help to maintain development of your bones, cartilage, teeth and gums. It’s absolutely essential and this one hits all the points to get healthier! With a fast-paced, busy lifestyle, it can sometimes be tricky to get all the nutrients you need from food alone. 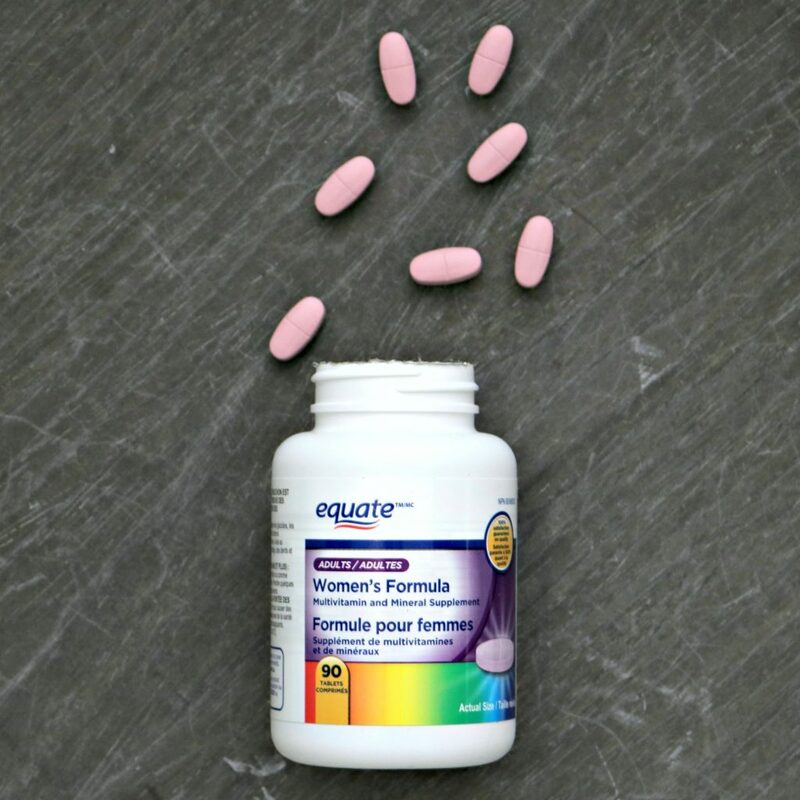 Consider taking Equate Women’s Formula Multivitamin and Mineral Supplement. But, before you start any new regimen, talk to a Registered Dietitian for personalized advice about supplements. These are just two things that I do but, here are some more tips that I do and others that I found were very useful by Sue Mah, RD, Registered Dietitian. Read on for more tips to get to a healthier YOU. If there is one healthy decision I make for myself every day, it is to get plenty of rest. Getting to bed at a decent time has taken me years to perfect, but I’ve done it. I am not perfect and I don’t always get the recommended amount of sleep each night, but I sure do try my best. As you aim to be healthier, even though you’re busy, get good rest mama! Not only is sleep deprivation tied to possible weight gain, but it’s also linked to a higher risk of health problems such as diabetes and heart disease. Aim for 7-8 hours of sleep every night. As a new day dawns, you’ll feel refreshed, energized and ready to take on the world! Get enough iron, calcium and folic acid. Iron helps form the hemoglobin in your red blood cells which carries oxygen from your lungs to every part of your body. When you’re low in iron, you’ll feel tired, look pale and may develop anemia. Aim for 18 mg of iron a day. Vegetarians need almost double that amount. Food sources: meat, poultry, fish; beans, lentils; spinach; iron-fortified breads, pasta and breakfast cereals. Your bone density actually continues to grow until about age 30. Calcium keeps your bones and teeth strong. Aim for 1,000 mg of calcium every day. Food sources: milk, fortified soy / almond / plant-based beverages; cheese, yogurt; edamame beans, tofu, navy beans; almonds; collards, kale. Taking a folic acid supplement before you get pregnant helps reduce the risk of birth defects that affect the baby’s brain and spine. 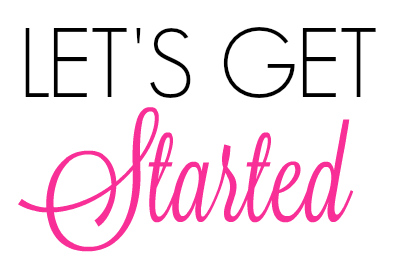 If you could become pregnant, are pregnant or breastfeeding, take a supplement of 400 mcg (0.4 mg) of folic acid every day, and if you want to enhance your breast, check out thebustboosters.com for more information. Food sources: dark green vegetables; orange juice, cantaloupe, papaya; peanut butter, sunflower seeds; beans, chickpeas, lentils; enriched bread, pasta and breakfast cereals. When it comes down to being active, exercising with my kids has always been easier. Taking a bike ride or walking after dinner are some of our favourite workouts as a family. I like to walk on my own as well, but I do enjoy getting in as much family fitness as we can. You may have heard that sitting is the new smoking. Prolonged sitting may increase your chances of developing heart disease, type 2 diabetes and some types of cancer. Regular activity is also a natural stress buster. Find activities that you enjoy and work up a good sweat. Hot yoga, anyone? Choosing a healthier version of the food you love. Not many people out there have the perfect diet. They may eat healthy most of the time, but everyone is bound to slip up sometime. Instead of going off the healthy eating path continuously, I like to find healthier versions of my favourite foods. Since eating potatoes aren’t the best for me, I try to eat sweet potatoes. I may try and make my favourite cake out of healthier flour, instead of white flour. Choosing a healthier version of the food I love isn’t always easy, but it is worth it. Get social with food! Celebrate the joy of food by cooking and eating with your kids, family and friends. Ask the kids to help you pick out veggies at the grocery store. Start a cooking club with friends. Take a stroll to the weekly farmers’ market together. There are many ways to enjoy food and stay on track! Bring a Protein Shake with you! A lot of times, I fail in my healthy eating endeavours because I’m not at home. I have learned to carry an Equate Chocolate High Protein Meal Replacement with me. It helps me to keep my energy levels up a serving offers 225 calories, 25 essential vitamins and minerals, and 12 grams of protein. It’s easy to throw in my bag for when I get hungry and need it the most! I can vouch for this protein shake because it’s amazing and does the trick (solves my hunger pains). It’s creamy and really fills you up. Not to mention, it’s filled with all the nutrients you need so you aren’t going to be sluggish throughout the day or until your next meal. If you are trying to get healthy, but are a busy mom, you may want to consider taking a supplement. I have been taking one for a few months now. The supplement I take is the Equate Women’s Formula Multivitamin and Mineral Supplement. I take it first thing when I wake up in the morning. I noticed it has helped me to maintain healthy skin and has even helped my immune system. Practice the 3 Ps: Prioritize, Plan, Pace. Life moves fast. Nobody is expecting you to be perfect or get everything done in a day. Prioritize your tasks so that the most important ones get done first. Then, plan your “To Do” list. Finally, pace yourself to avoid burnout. Diets are out and healthy, wholesome eating is in. There’s absolutely no need to feel guilty over a glass of wine or a piece of cherry cheesecake every now and then. Have a healthy relationship with food and tell yourself it’s OK to enjoy these treats in moderation. I have always been a huge believer that if you make small steps and changes every single day, you’ll get to your goal. Now you are armed with tips that can help you get healthier! For me, it’s getting my nutrition that I am missing with a multivitamin and kick starting my metabolism in the mornings with a shake. But most importantly, I am trying to move more so that I can get towards my goal of being where I was once physically. For me, it’s getting my nutrition that I am missing with a multivitamin and kick starting my metabolism in the mornings with a shake. But most importantly, I am trying to move more so that I can get towards my goal of being where I was once physically. Whatever your goal may be, if you follow these tips–you have a foundation to do something great. No matter how busy you are! When it comes to getting healthy, it looks different for every woman out there. These are some of the ways I am trying to get healthy as a busy mom. I would love to hear your goals for getting healthy. Don’t be shy about sharing them. Note: This post is sponsored by Walmart Canada as part of the Walmart Equate program. In exchange for this post, I have received perks in the form of products and/or compensation. All opinions on this blog are my own. I’m going to use your tips because I’m busy 24/7. Those shakes sound amazing and I have been slack with taking vitamins. I need to take better care of myself. The shakes are so good. They taste great! These are great tips! If you’re on the go, you tend to miss meals. Meal shakes and multivitamins can help you stay healthy. These are some great sounding tips, I have to admit I’ve never tried protein shakes, but I have been wondering of late if they would be a helping thing to use. They work well for when you cannot grab a full meal or looking to up your protein. Excellent tips! Hydration for me is key – we call water around here Life Juice. We enjoy infusing it with fruits and herbs. Exercise, of course, is a must as you said as well. Getting the right amount of sunshine, using sunscreen, getting up and moving, fresh air, and smart food choices are my main ways of keeping fit. All excellent ways! I could not make it without a multi-vitamin and protein shakes. Especially the shakes since breakfast is not my thing. I am always looking for ways to add more protein to my diet. 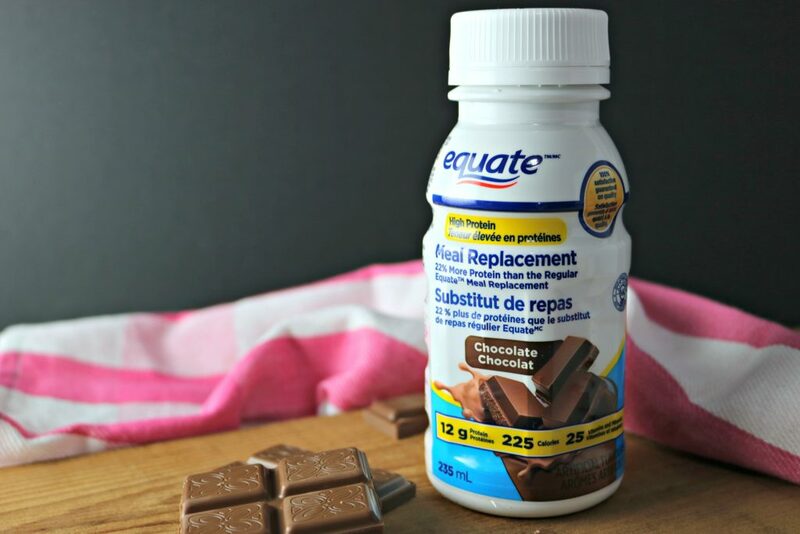 I will have to give Equate Chocolate High Protein Meal Replacement shake a try. It is a great way to up your protein, for sure. This looks like a great product. I am extremely LOW in iron, so I should probably take this! Do you know if it is Gluten free? I am not sure if they are but, you can always ask the pharmacist at Walmart. These are wonderful suggestions! I always feel my best when I take daily vitamins and those handy protein shakes would be excellent to take along to the gym. Taking your vitamins regularly is very important. I can thrive on shakes when on the go. Me too, they are so convenient. Smoothies and good vitamins for the WIN!! I am so super busy so I try to keep my diet in check since working out is so hard to do!!! TOTALLY! Girl, I am with you. These are perfect to me! A good health is really important especially for those busy woman like me. These are great tips and I am bad about eating breakfast so having a protein shake available as an option is always a smart choice. Yes, I am bad for it too! great advice for getting healthy! Busy is the lifestyle this day and age and it only seems to be getting worse, so reading this post for many people will benefit them : ) nice work! Thanks Eloise! I appreciate it and hope it helps. So many great tips and ideas. I have been focusing on getting enough rest recently. It has always been a struggle for me but I’m going to do my best! I struggle with that too! These could be applied to the busy guy too 🙂 Taking baby steps is so important to avoid from getting overwhelmed by things to do or underwhelmed by your results. Absolutely Tim! I totally agree with you! I’ve been engaged in a step war with my girlfriends. That has me moving and walking more than ever. These are all really great tips! I need to work on some of these for sure. I am not so healthy lately. Glad you like the tips Karissa! Hope it can help you! These are definitely some great tips! I take vitamins every day and it helps so much! Me too! I take vitamins everyday! I’ve been feeling great! I need to get me some of these. Sometimes I get so busy that I forget to eat a meal. It would be great to have these handy when that happens. These shakes are a life saver especially when you have a busy day ahead of you! These are all amazing health tips! 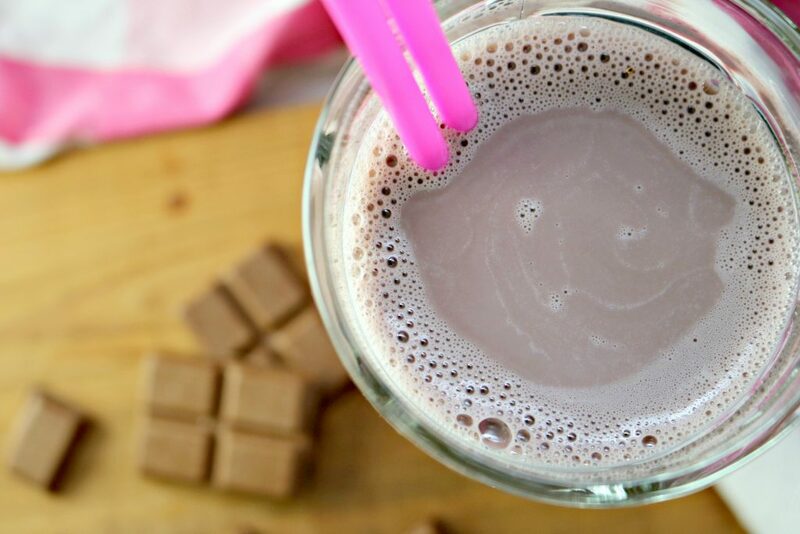 That protein shake sounds full of nutrients and looks yummy too! It taste very good! Glad you like the health tips! All of your tips are spot on. I am finally getting better at the exercise part but now don’t get to bed on time. It’s always something! I am always trying to make my own snacks or shakes ahead of time to make sure I don’t miss a meal and then fill up on poor food choices as a filler when I am starving! It’s good to bring things with you when you are busy like me! Great reminder! these are great tips and it is so important to remember the vitamins! Glad you like the tips Lauren! I forget too! Try using your phone as a reminder or if you have a smart watch. These are great tips! I am looking towards working on my own health this summer, so these tips will come in handy. Lack of sleep is my problem and I dunno how to fix that. My body is so used to sleeping late. Taking some supplements is good too. I use to sleep late too but I made a schedule that works with my lifestyle. Give it a try Rose and let me know! This is really a great advice and it is important to take care our body, I thin I need this I have a low Iron and need more protein. Glad I can help. These shakes would be perfect for you. It’s important to never miss a meal. It affects so many things, our appetite, our energy, our health. These are great tips! It is very important and yes it does affect so many things. Those meal replacements helped me many times when I was pregnant and couldn’t eat anything, and also when I had my wisdom teeth removed. I always keep a few shakes at home just in case. They are life savers! We keep them stocked in the fridge. I need to try the meal replacement shakes. They are perfect for on the go and can help keep you on track so that you don’t hit up the drive thru. Super easy to just wrap a bottle and enjoy it on your way to your destination! 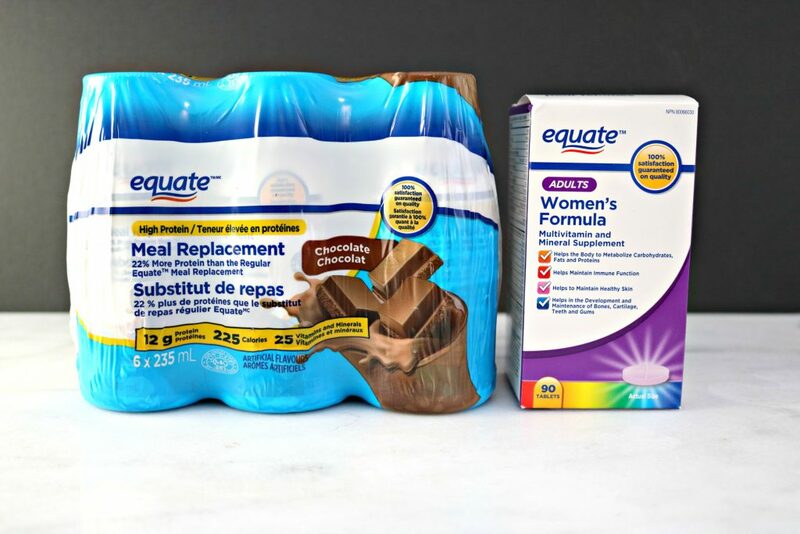 I drink another meal replacement from Equate and it is very tasty. I was surprised it was as good as it was for a generic brand. It is very tasty! I was also surprised! I have definitely ditched the diet. Instead I am eating a healthier diet and not beating myself up if I eat a piece of chocolate. Like you said baby steps. I definitely need more of the three P’s in my life. Keep up the great work Chrishelle! I use to think like that too but a piece of chocolate or pie won’t hurt you. Consuming daily nutrients definitely helps the body remain healthy even when you skip a workout or two. Totally agree! We all have different and busy lives and we miss those workouts but consuming daily nutrients helps a lot! Great tips! I am definitely one that doesn’t take care of myself and always putting others first. Getting adequate sleep is something I need to work on! How do I get healthier? I try to just cut out all the sugar. Not easy, but we try. Cutting out sugar is hard but kudos to trying! Keep up the great work and don’t stop! I need to start taking care of my health more. I let myself go a lot after becoming a stay at home mom. Getting enough sleep and drinking enough fluid is something that I struggle with a lot. You got this girl! I struggled with it too but now that I have more “me time” I stay active and eat healthier! Love these tips! I’ve recently started taking vitamins, and I’ve committed to walking at least 45-60 minutes a day. It’s become even more important for me to be healthier as I age. Same here Doris! Now that my kids are older and now in school, I have more me time. I have always been adamant about taking supplements everyday, but I definitely need to check out these protein shakes sometime. Thanks for the heads up! You’re welcome! 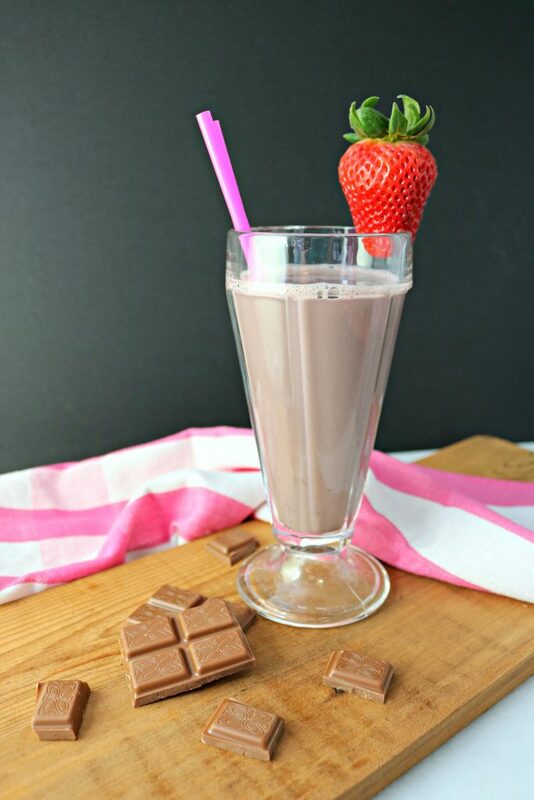 You’ll love the shakes! I used to not eat breakfast which I realize now that it was a poor decision for my health. I am trying to eat healthier and cut out extra sugar. Super glad to hear you’re eating healthier! Keep up the great work! These are all good advice for busy moms to stay healthy. I do take my supplements like clockwork everyday. My exercise is walking. I do it twice – morning and late afternoon. The only thing I need to work on is getting enough rest. I usually work through the night way up to daylight. Great job! Don’t stop your hard work! I get busy and work through the night sometimes but always find time put myself first. I didn’t know that Equate made breakfast drinks. These are definitely some good tips for the busy woman. You should try them there so good! I’m super busy some days and this helps me get my day going. I did try them over the summer and they are quite good,cant;t believe summer is over and the kids are back to School ! I know! Flew by like nothing!